Carmen Miranda (February 9, 1909 – August 5, 1955) was a Portuguese-Brazilian singer and actress. 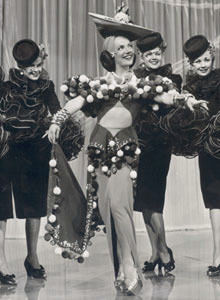 She was best known for her exotic costumes and hats made of fruit. This page was last changed on 10 July 2013, at 19:32.